" I am so thankful a friend referred my husband and I to Brad with AFP Property and Casualty. We had him give us quotes for our homeowner and auto policies. Little did we know he would be able to save us hundreds of dollars a year and actually have better coverage. Brad was a pleasure to work with, always patient and quick to respond to my countless questions, and never did we feel pressured. I truly can't recommend him enough." 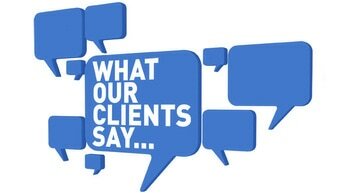 "I have been so blessed by Brad and all of his hard work taking care of my insurance policies. Brad is a great person with honorable character. He is very trustworthy and provides excellent service. I normally dread the process of dealing with insurance, but Brad has made it easy and painless. He made recommendations that no other agent had ever made, all the while saving me money in the end. It is so wonderful to have someone I know has my family's best interest at heart. I would recommend Brad to any of my friends or family." ​"Thanks for your help on this, you’re probably the best agent I’ve had. Super professional, timely, and helpful. Keep up that good work!"